Sep 20, 2017 | Reviewed by Christine M.
I liked Ann's Choice, it's very nice. They have a lot of big rooms which are more expensive. The staff was very nice and they had very good meals. I used their pool, which is very nice. The best way to get to know a community is by scheduling a tour. See the facilities, meet the staff and residents, and get a feel first hand what it's like to live at Ann's Choice Assisted Living. 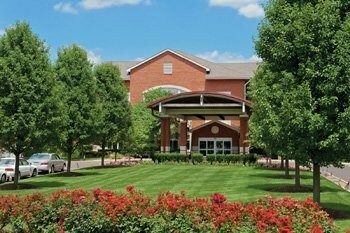 Ann's Choice is a full-service, maintenance-free community designed exclusively for retirees, age 62 or better. Located on 103 picturesque acres in Bucks County, Pennsylvania, Ann's Choice is a private campus kept secure day and night by a team of professionals trained in emergency first response. We're the ideal choice for active seniors who want to live a vibrant, engaging, and purposeful lifestyle in a setting that's both safe and beautiful. Like a small town under one roof, Ann's Choice offers an abundance of opportunities to keep your mind, body and spirit thriving. Stroll to any of our three spectacular clubhouses through climate-controlled, glass-enclosed walkways that connect all of our community buildings. Here you'll find all the resources you need to enjoy a spectacular retirement, including a fitness center, indoor heated pool and hot tub and four restaurants and a bistro serving healthy, delicious meals created fresh each day by our own personal chef. Other amenities include a computer lab with high-speed Internet, billiards and game room, creative arts studio, fully-equipped woodworking shop, classrooms and even a performing arts studio. Not to mention a bank and 24-hour ATM, a beauty salon and barber shop, a convenience store and an on-site pharmacy that delivers to your door! Ann's Choice also has an on-site medical center staffed by physicians who work exclusively at our community. These licensed geriatricians are experts in meeting the unique health care needs of older adults. They will work with you to design a wellness plan that will keep you strong, independent and feeling your finest for years to come.